Matchday 5 of the Europa League kicks off tonight as 48 teams battle it out for, in some cases, the chance to qualify for the knockout stages. With 24 matches being played on Thursday evening, we’re in for a veritable feast of football all across Europe and there are sure to be a few surprises and more than a few goals to talk about come tomorrow. The goals markets are some of the most exciting betting markets to explore. We don’t have to worry about potential upsets from the underdogs or sweat it out until the final minutes of the game – Instead, our bets can land long before the final whistle is blown and we can cheer for goals at both ends of the pitch. So, let’s take a look at where we can expect to find the goals in tonight’s Europa League action. Remember to check out our Europa League predictions homepage for all of our betting tips and predictions for tonight’s matches. The clash between the 2 Red Bull owned sides RB Salzburg and RB Leipzig could be one of the most exciting Europa League ties in memory. The 2 teams met competitively for the first time on matchday 1 of the group stages, with that tie ending 3-2 to the Austrians and providing a platform for them to begin their fantastic season. This time around RB Leipzig make the relatively short trip to Austria, and with them currently level on points with 3rd placed Celtic they know that a result here could be crucial for their qualification hopes. Both sides are fast paced and attack minded outfits, and that shows in their results. RB Salzburg’s 4 group stage matches so far have produced a massive 19 goals, with 14 of them being scored by the Austrians. RB Leipzig have seen a slightly more modest 14 goals in their 4 matches, but have still seen at least 3 goals scored in all but 1 of their games. Salzburg have seen Over 2.5 Goals land in all of their matches so far, so with the 2 sides having a respective average of 4.75 and 3.5 goals per game, backing Over 2.5 Goals here looks an absolute banker. You can read our full match preview for RB Salzburg vs RB Leipzig here for more betting tips and predictions. Europa League Group G is one of the tightest groups around in the competition right now, with the 4 teams separated by just 2 points going into the penultimate round of group stage matches. Spartak Moscow are sitting in 2nd place, just behind Villarreal, and face a Rapid Vienna side who are bottom of the group but only trailing the Russians by a single point. What lets the Austrian visitors down, unfortunately for them, is their atrocious performances away from home. They managed to beat Spartak Moscow at home and got a point against Villarreal too, but away from home they have shipped a total of 8 goals in just 2 matches and now face a Spartak side who aren’t exactly goalshy in front of their own fans. Spartak have scored 7 goals in their 2 home matches, putting 3 past Villarreal and bagging a 4-3 win against Rangers. In total, Spartak Moscow’s home games in the Europa League this season have seen a ridiculous 13 goals, an average of 6.5 per game. Rapid Vienna have seen 9 goals in their 2 away matches, so it’s well worth backing Over 2.5 Goals here. You can read our full match preview for Spartak Moscow vs Rapid Vienna here for more betting tips and predictions. 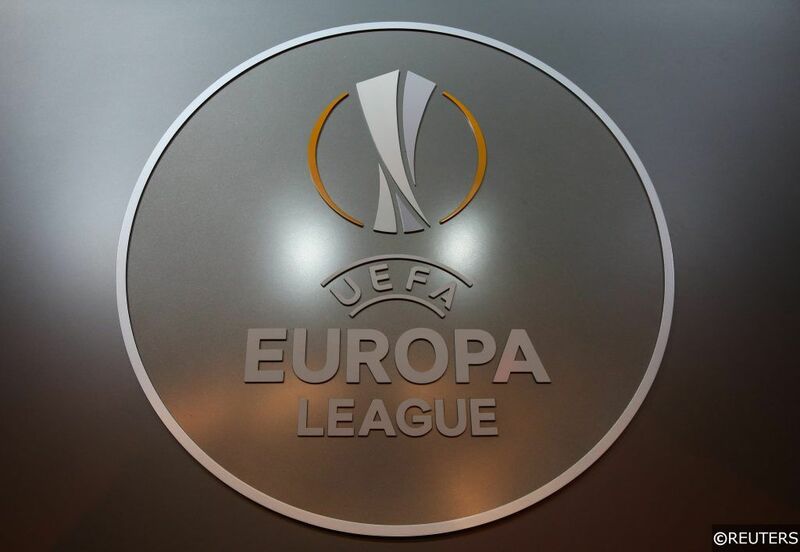 With Sevilla billed as the overwhelming favourites for Europa League Group J, the other qualifying position was seen as a tight battle between the likes or Krasnodar, Standard Liege, and Akhisarspor. However, the Russian hosts have been sensational so far this season, and they come into the penultimate group match knowing that a point or more would guarantee their passage through to the knockout stages. They won’t want to settle for a point though. They are level on points with Sevilla at the top, so a win could be crucial to getting the favourable draw granted to the group winners. It shouldn’t be too difficult for Krasnodar either, because they face an Akhisarspor side who haven’t exactly set the world alight in their first foray into the Europa League. 4 games into the group stages and the Turkish side are yet to claim a point, and their 3-2 defeat at home to Sevilla last time out made it 12 goals conceded so far in the competition. They face a Krasnodar side who have beaten both Sevilla and Standard Liege 2-1 on home soil, so the hosts are huge favourites here. Their defence isn’t great though and they have only kept a single clean sheet in the competition so far, but what that means is that we could be in for a glut of goals. 3 of Krasnodar’s group matches have seen at least 3 goals, including both home games, and their visitors hold the exact same record. Akhisarspor have seen an average of 4.5 goals per game away from home in the Europa League so far, so backing Over 2.5 Goals is a good choice here. You can read our full match preview for Krasnodar vs Akhisarspor here for more betting tips and predictions. Eintracht Frankfurt may have already sealed qualification to the Europa League knockout rounds, but with a trip to Lazio coming up on matchday 6 and just 3 points separating the sides a win over the disappointing Marseille could prove crucial to their chances of topping the group. Marseille have been dreadful in the competition this season after reaching the final last term, but they will be hoping to win back some pride at least against their Bundesliga opponents. Once again, we could be in for an absolute treat of a match. Frankfurt have seen 15 goals in their 4 group games so far, and Marseille’s dodgy back line has contributed to their slightly lower total of 14 goals. All but 1 of Frankfurt’s matches have ended with at least 3 goals on the scoresheet, while Marseille have seen all of their matches end with at least 3 goals being scored. In fact, 10 of Marseille’s 13 Europa League matches in 2018 have seen Over 2.5 Goals land, and a huge 14 of Frankfurt’s 18 competitive games this season have been high scoring affairs. Over 2.5 Goals looks an absolutely fantastic price here, all things considered. You can read our full match preview for Frankfurt vs Marseille here for more betting tips and predictions. Sticking with Europa League Group H, we head over to Cyprus to focus on Lazio’s chase for the top spot in the group. Just like Frankfurt, the Serie A giants have already sealed their passage through into the knockout stages, but a win against their Cypriot underdog opponents would be vital as they try to close the gap on the group leaders. Apollon have exactly the same record as Marseille so far, drawing once and losing the other 3 games, conceding 9 goals and seeing a total of 14 goals across their 4 matches. All but 1 of their group games have seen at least 3 goals scored, and Lazio are no strangers to an high scoring game. In fact, all 4 of the visitors’ Europa League group games have seen 3 or more goals scored, as have 8 of their 10 matches in the competition in 2018. They will be going all out for the win tonight, knowing that those 3 points could prove crucial when they host Frankfurt on matchday 6 and also knowing that they have nothing to lose with qualification already guaranteed. Another Over 2.5 Goals bet looks a great price here. You can read our full match preview for Apollon vs Lazio here for more betting tips and predictions. Categories: Betting Strategy, Blog, Europa League, Football, and Free Tips. Tags: betting predictions, betting tips, Europa League, europa league predictions, goals, and over 2.5 goals. League: UEFA Europa League. Sports: Football.